Inspiration looks different to everyone. It can be a singular, often breathtaking, moment, or a process, a shift in thinking, or change in perspective. People often ask us where we get our architectural inspiration. There’s no easy answer to that question. But there are those occasions where we are individually struck by the beauty or awe of a structure, and can’t help but be inspired. These moments are usually unforgettable and leave their mark on each of us. 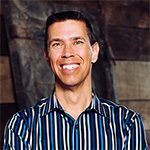 Gain insight into our team as we share some moments of personal inspiration. The John Hancock Center in Chicago has always been fascinating to me. The building’s style is referred to as structural expressionism, and that’s my favorite part—the structure. I love being able to see what holds the building up. The sheer size of it is awe-inspiring. I’m amazed at what humans can accomplish—how can people possibly build something that enormous? It’s the same feeling I get when I look at the Golden Gate Bridge or Hoover Dam. 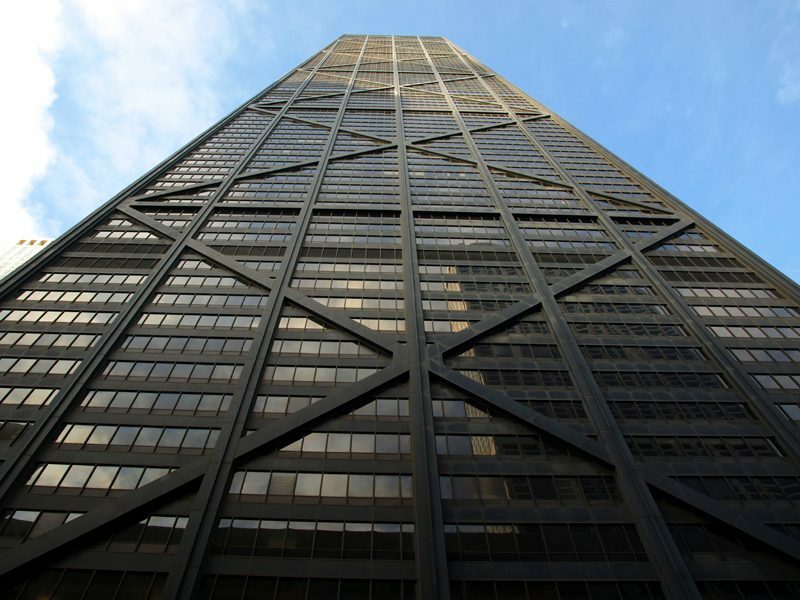 The John Hancock Center inspires me to be more innovative and to think outside established boundaries. I’m encouraged to let my designs provide their own aesthetic value, rather than letting the desired aesthetic dictate my designs. 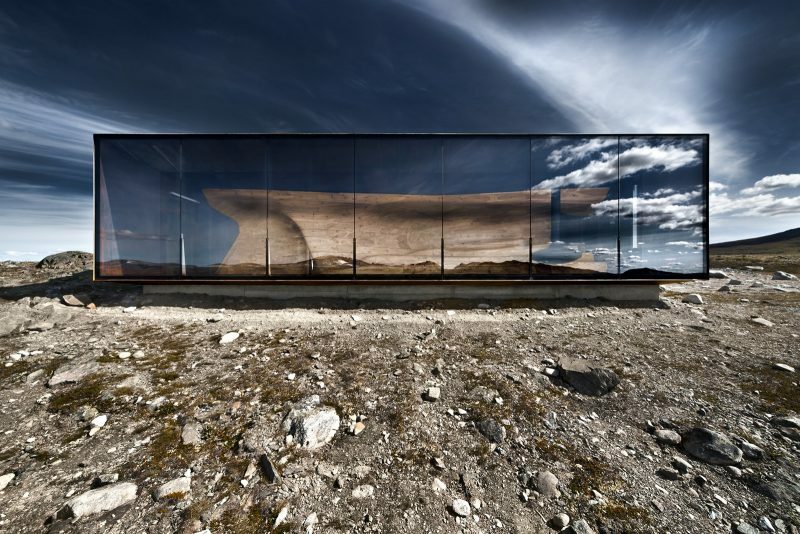 It’s so hard to choose just one place of inspiration, but I’d have to say the Norwegian Wild Reindeer Centre Pavilion in Hjerkinn, Dovre, Norway inspires me most. I’m drawn to the simplicity of its elegance. This incredibly beautiful piece of architecture blends with the breathtaking landscape instead of detracting from the surroundings. My favorite elements are the curves and arcs of wood which feel so natural and fluid and complement the surrounding landscape perfectly. This structure has changed the way I approach my work by giving me a stronger desire to find the beauty and elegance in design through simplicity. I’m most inspired by the Kimbell Art Museum Expansion in Fort Worth, Texas. I really respond to the way architecture creates a dialogue between civilizations and generations, and this building does just that. Originally designed in 1972, it leans into the same rhythm of the original building, such as height, scale and layout, but also produces a different and beautiful melody of its own. This building has taught me so much about how architecture can be respectful to the history and richness of its surroundings and create connection with people. In my own work, it inspires me to produce light-impact architecture using symmetry and beautifully-crafted details. 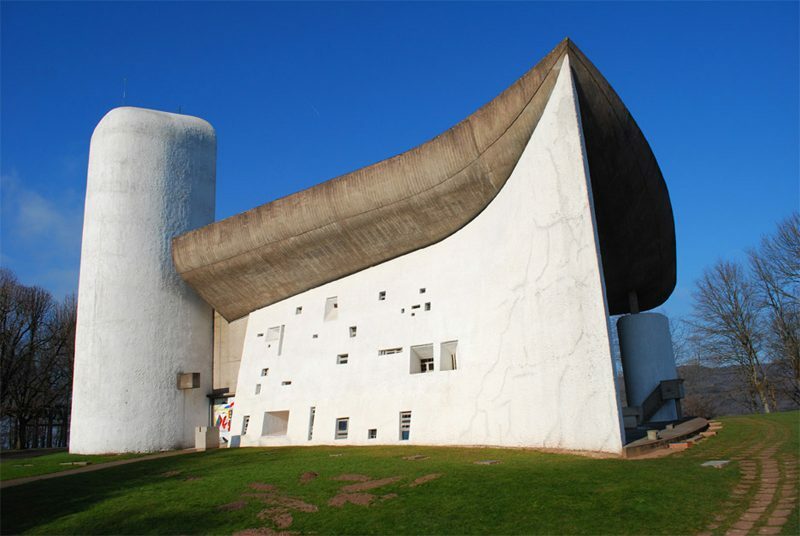 I’ve always been drawn to the Chapel of Notre Dame du Haut in Ronchamp, France. It was constructed with thick, concrete walls and stone in the 1950s. I love the way the concrete creates a fluid, sculptural shape that seems to be drawn straight from nature. The roof appears to be heavy, but floats above the walls. The use of glass reinforces different concrete masses and creates a simple, peaceful interior space. While the Chapel of Notre Dame definitely excites me, I pull my daily creativity from many buildings, architects, and everyday things I encounter to create beautiful designs. 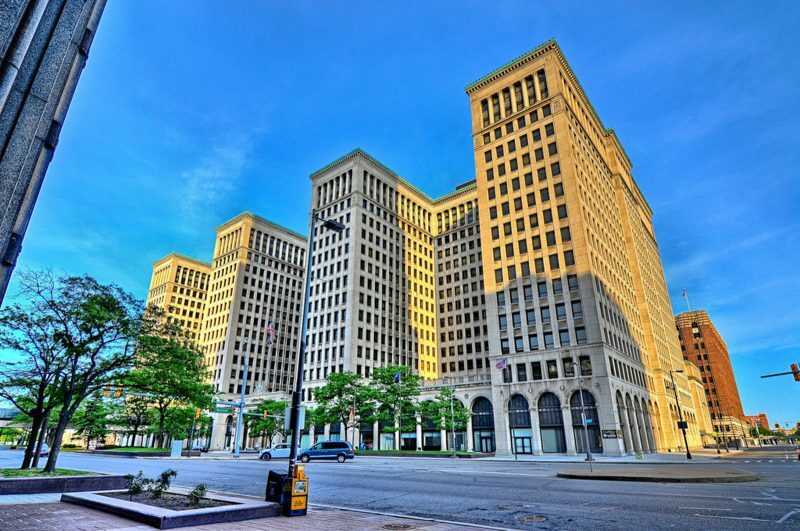 Cadillac Place, formerly The General Motors Building, in Detroit, inspires me more than any other structure. I first visited the site in 1996 as a high school senior. My dad worked in the building as an accountant at the time. Although I admire the neo-classical style, I’m more drawn to the building’s symmetry and sturdy prowess. It’s a very solid structure and impossible to miss off I-94. The massive and gorgeous entry with a vaulted arcade and marble-clad floors and walls will always be my favorite part. For me, the building holds nostalgia and takes me back to a different time and place in my life. 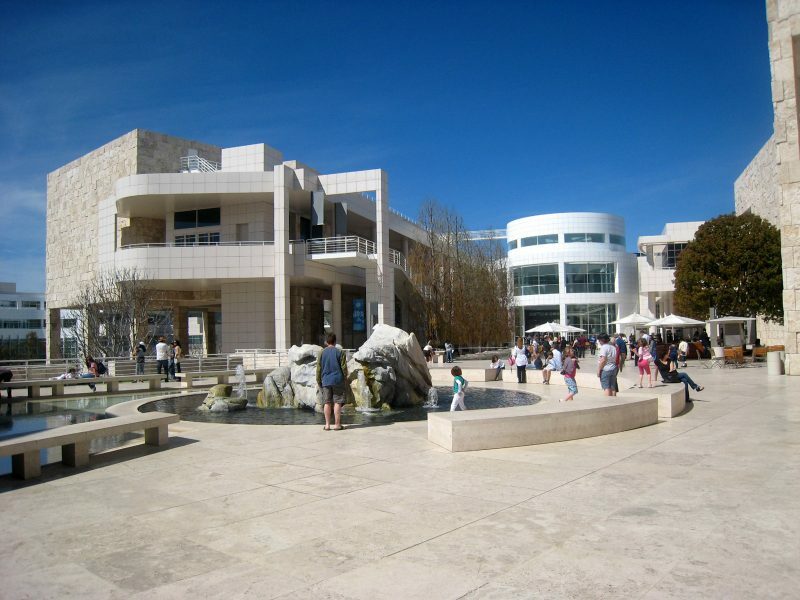 The J. Paul Getty Museum in Los Angeles, known as The Getty, has inspired me since I studied architecture in college. I love its grandiosity, the way it is situated on top of a hill overlooking downtown L.A. When the sun hits the rough texture of the travertine stone, it appears almost bright white—it’s very stunning! 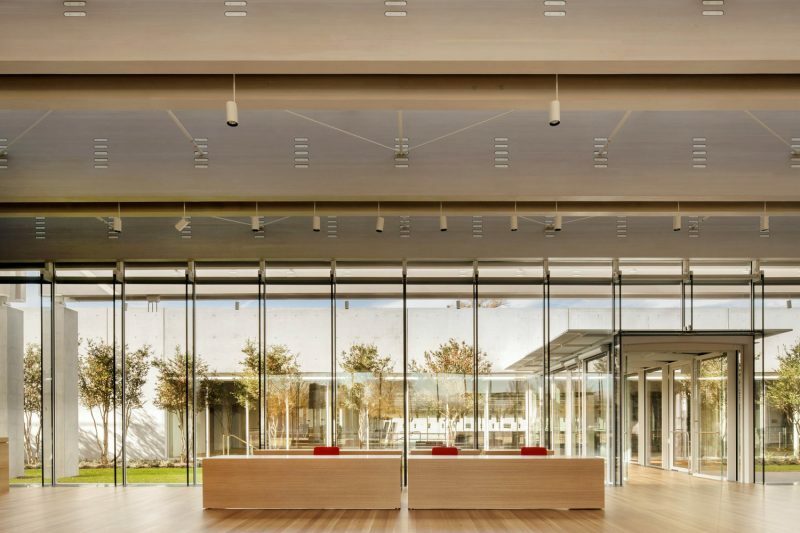 I was fortunate enough to visit The Getty, where I researched the building’s curvilinear elements and the way the buildings are situated, creating a campus atmosphere. In my daily work, The Getty has specifically influenced the way I approach selecting exterior materials, keeping in mind how they will reflect natural daylight and appear from a distance.